I been trying to open up my timeline up on Twitter. Follow more people. I really have been. It's pretty hard since most of y'all. Nevermind. Anyways. Killer Mike was on The View last week. Like always, the hometown big brother was showcasing his knowledge about politics. So I'm watching and searching "The View" on Twitter seeing what other people are saying. Retweeting and all that good stuff. I have to say that the vast majority of people was enjoying Killer Mike. So in between the retweeting I was following people. Cause, hey if you like Killer Mike you the type of person I should follow. It's been a week and I haven't unfollowed anybody. I pick some good people, they haven't got on my nerves. It's this one person tweets that caught my eye. The business of the person. The Goode Style. Homemade greatness in the heart of Virginia. This is one brand that love the attention to the nuances. If the devil is in the details, as the old saying goes, than this brand is dancing with the devil down by Rappahannock river on a cold Sunday. You can tell that each item in made with love. This is your Grandma sweating in the kitchen love. You know that heart is in the items. When I first started following her, she had one item. 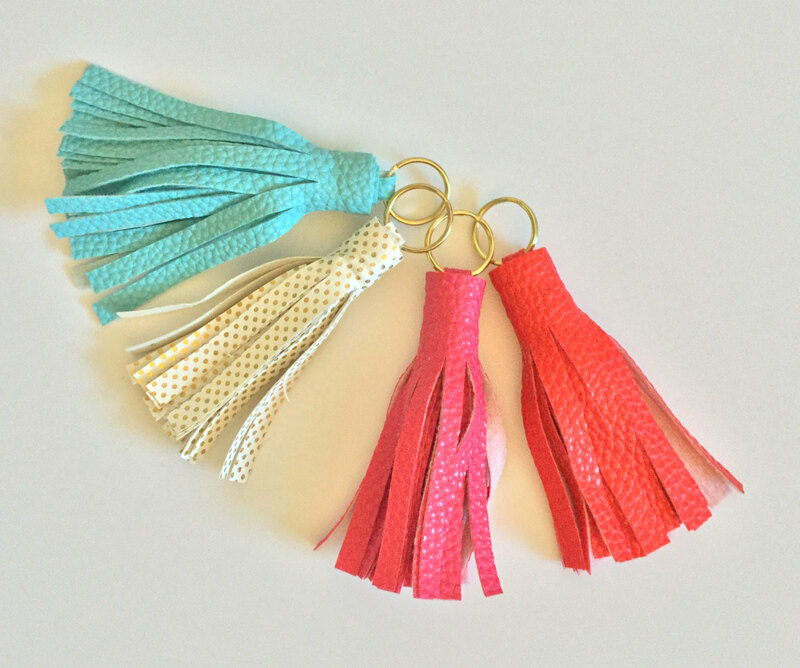 It was the tassel keychain, I spend the next hour contemplating if I should buy some for the next SanQuon show. Actually I spent the hour thinking if they can be used as earrings. They would look excellent. Can you see our last look as the lights start to go down and the music slowly change and the smoke (yes, smoke) starts to fill the stage and a video plays. Boom, in walks the model and the model has the tassels as earrings? Let's all just go home. Shut it down. Game over. How did I get here? I'm sorry back to The Goode Style. The Goode Style currently has four items for you to start your new obsession. Two standouts. 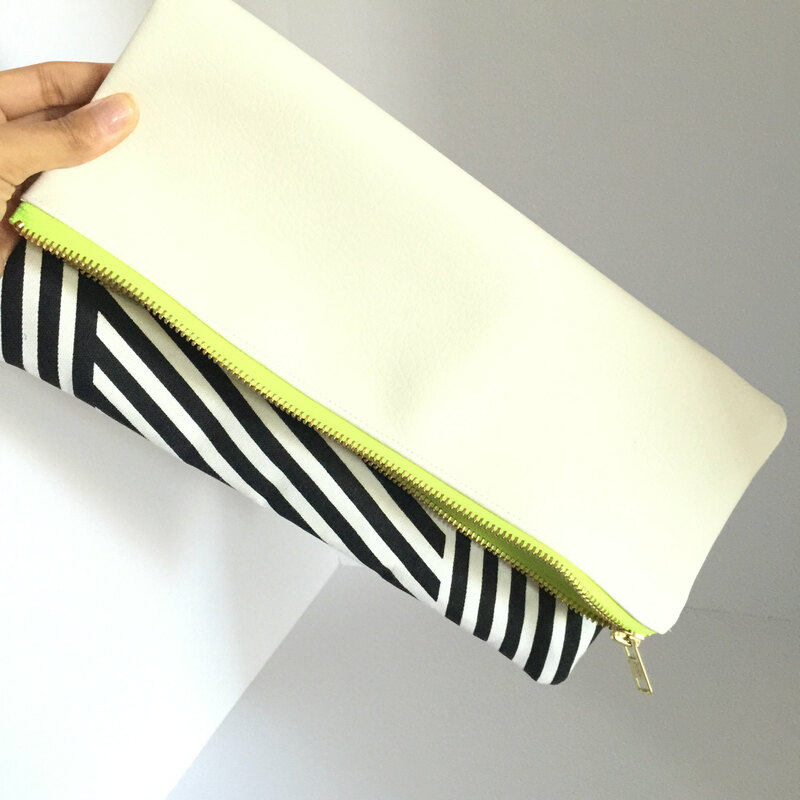 The vibrant colors of the 'Zipper Fold Over Clutch', as it mixes the loud of the neon with the black and white stripes. Wild style Zebra. While the 'Black & White Foldover Clutch' might be secretly the best. Featuring the faux leather black and white on the outside and a surprise flamboyant inside. The Zebra that likes to keep it's personality in the house. Be sure to follow The Goode Style on Twitter, Instagram and the webstore. Also be sure to follow the creator on Twitter . Michael Kors has enough money, support small this weekend.